Bristol's Stone Church Coffeehouse is thrilled to invite back old friends and welcome new friends. ​This is our 12th season and we welcome you to come enjoy our venue. 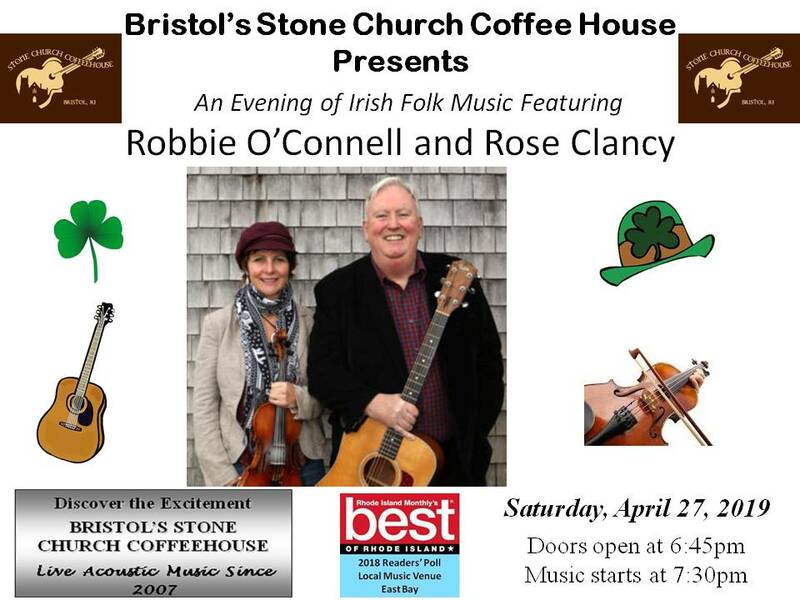 ​Bristol's Stone Church Coffeehouse is located at the First Congregational Church (300 High Street in Bristol, RI). Seating is limited and early reservations are recommended. Doors open at 6:45pm. All shows start at 7:30pm. Come early, bring a picnic dinner and enjoy your evening with us. Light refreshments are offered for a minimal cost. For ticket information or to reserve tickets, please call (401) 253-4813. * Tickets are $18 for adults; students are half-price; children 5 and under are free.